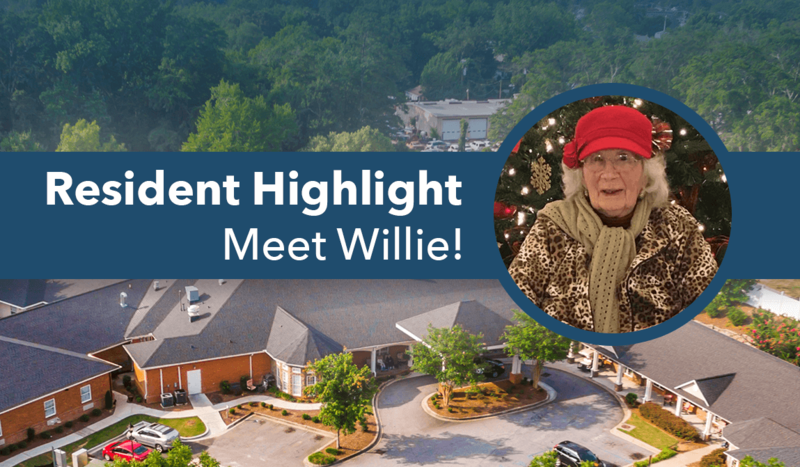 The Springs at Simpsonville April Resident of the Month is Iya! Iya spent some time with us to tell us her story so we could share it with our readers! Iya was born in Bordeaux, in the southwest of France. She lived there for 22 years until she met her husband, James, who was in the US Army. 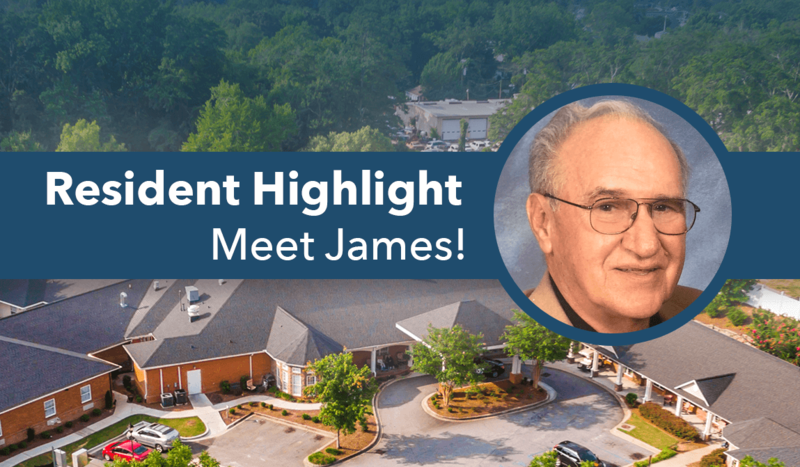 James was in the Transportation Corp—a combat service support branch of the army—and he served in both the Korean and Vietnam wars. They got married and had two children, William Earl & Michael Edward, who were both born in France. Michael was six weeks old, and William was a year-and-a-half old when they moved to America. 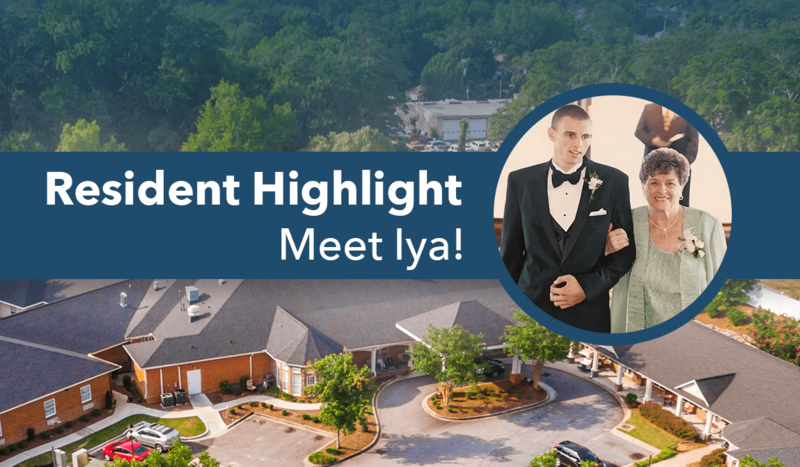 James and Iya were stationed in Ft. Eustis, Virginia and Ft. Bragg, North Carolina. Later on, James moved his family to their new post in Japan. They lived in Japan for one year, and while there, Iya met a group of ladies that gathered weekly to do Japanese Punch Embroidery, which is called Bunka. She continued to do this once she returned to the US, and she made many beautiful pictures that represented the culture of Japan. Two of them are currently featured in her room at The Springs! 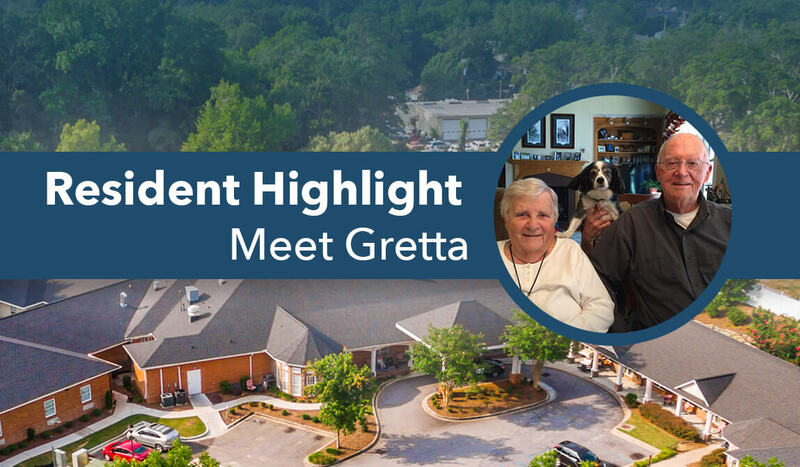 After a lot of their travels in the military, they purchased a house in Fayetteville, North Carolina where they lived for 40 years. During that time, Iya was mostly a stay at home mom who took care of her sons. Both of their boys grew up and followed in their father’s footsteps by joining the military. Bill, the oldest, entered the Coast Guard, and Michael entered the Army. Both boys served in the Aviation field of their branch. After her sons grew up, Iya got a job at K-Mart and worked there for 20 years. She loved her career there and particularly enjoyed the fashion department. If you stop by and say hello to Iya, make sure you ask her about how she met her husband—she loves telling the story! We thank Iya for sharing her story with our readers and congratulate her for being The Springs at Simpsonville April Resident of the Month.